Yesterday Fring launched a new version of its smart phone app that now allows users to make video calls through Skype of 3G or Wifi. At the moment the software only works on the following smart phones: Nokia smartphones: 5800, X6, N97, N97 mini, N95 8G, N95 and N82. 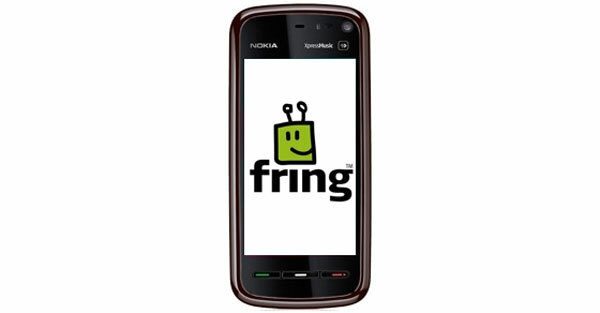 But Fring say more devices will be added shortly. This video feature is embedded within the fring application that enables free voice calls to other fring users, Skype and GTalk buddies as well as friends on regular phone lines via Skype-Out and hundreds of popular SIP services. fring users live chat, update profiles, share files and talk with friends from several Instant Messaging services like MSN, AIM, GoogleTalk and Skype, in addition to interacting with popular online social networks including Twitter, Facebook, Last.fm and more, all from one integrated fring contact list.